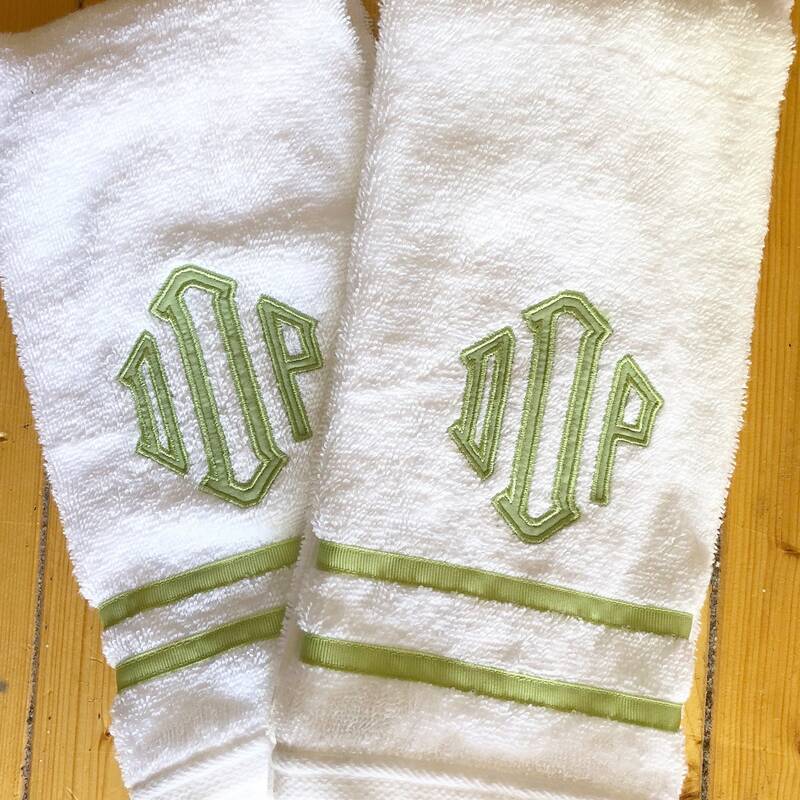 We took a white terry cloth towel and made an embellishment by adding a colorful grosgrain ribbon and appliqué monogram. 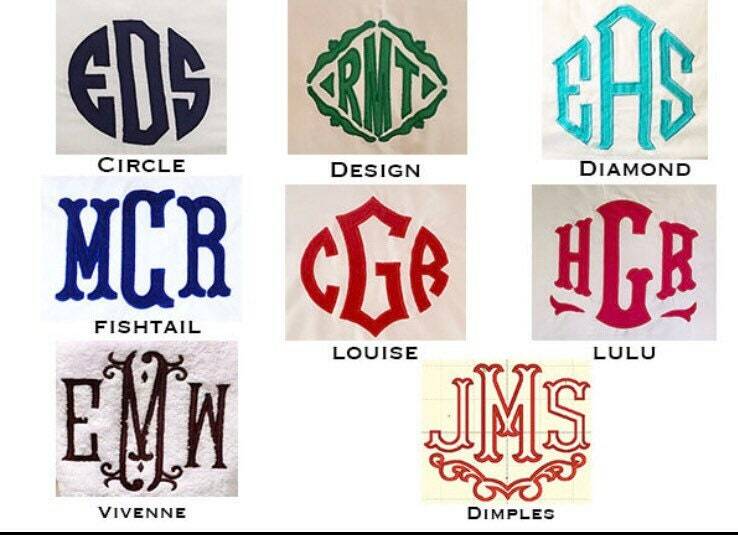 With many colors to choose from and a personalized monogram, these towels make for the perfect treat for anyones's bathroom especially with a matching bath towel. 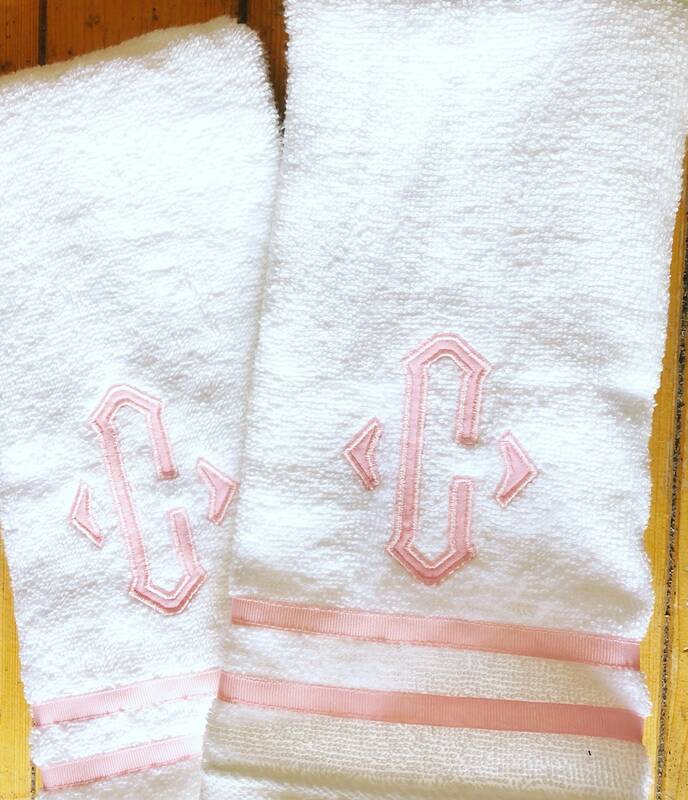 These towels also make great personalized wedding gifts.